Originally I was planning to do a little write-up about the latest syntax introduced into PHP 7.0.x, but then I noticed quite a significant number of syntax changes leading up to this version, many of which I was unaware of since I last used PHP in version 5.3.x. So if you fell asleep (like me), here is a brief list of syntax changes (I could find) since PHP 5.3.x, I am not going to go into too much depth about these changes, think about this as a crash course. This is all about scope, the self keyword resolves to the class in which it is being implemented ignoring context / inheritance, while a statically invoked function will take context / inheritance into account. E.g. in the example in the snippet above the Late Bound method will echo the name of the derived class calling it (SomeDerivedClass), while the method calling from the self keyword will echo the class it was originally implemented in (SomeBaseClass). Traits provides an alternative mechanism for code reuse to inheritance, in the preceding snippet you can see its basic usage, I will write an in-depth post in the near future (quite a subject on its own). I must however admit that I am currently of the opinion that traits must be avoided. The snippet above will output the name of the class along with its namespace. One of the most important changes in PHP was the introduction of namespaces, thereby solving name collisions (ambiguity) issues and giving us the ability to alias names, improving readability and reusability of source code. I must admit, it took me a while to figure out the necessity of this operator, but will talk about it in a future post. Basically the whole inner exception thing (those familiar with C#). PHP finally added a finally block (see what I did there), code in the finally block will always be executed after the try/catch block, regardless of the thrown exception. 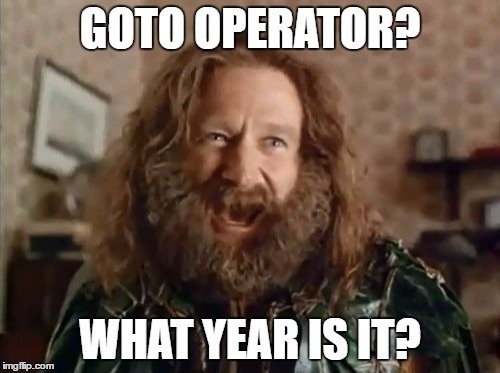 I was rather surprised by the addition of the goto operator in PHP 5.3, I really thought we are better than this, hehehe. The yield keyword is at the heart of generators in PHP, which is basically an easier / more efficient way of implementing iterators. More efficient in that it allows us to iterate over data without needing to build an array in memory and like demonstrated in the snippet above (outputs 132), only generate data when needed. Yield from basically enables you to yield values from another generator, traversable object or array.